This past week, Jay Rock’s “Hood Gone Love It” music video made its way on to BET with an appearance as the “New Joint” on the 106 & Park. The music video marks Strange Music’s first appearance on the countdown, and is no doubt a career high for Jay Rock. Excited over the 106 & Park premiere of “Hood Gone Love It”, fans and peers alike to to Twitter to congratulate Jay Rock. 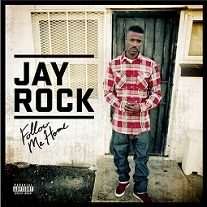 With so much momentum now behind Follow Me Home, it’s clear that we can expect to see much more of Jay Rock. Follow Jay Rock on his official Twitter page. Click here to purchase Follow Me Home.